A while back I found a picture of the pillows that the Kate Spade store in New York has in their shop (Maybe they are in all of their shops?) 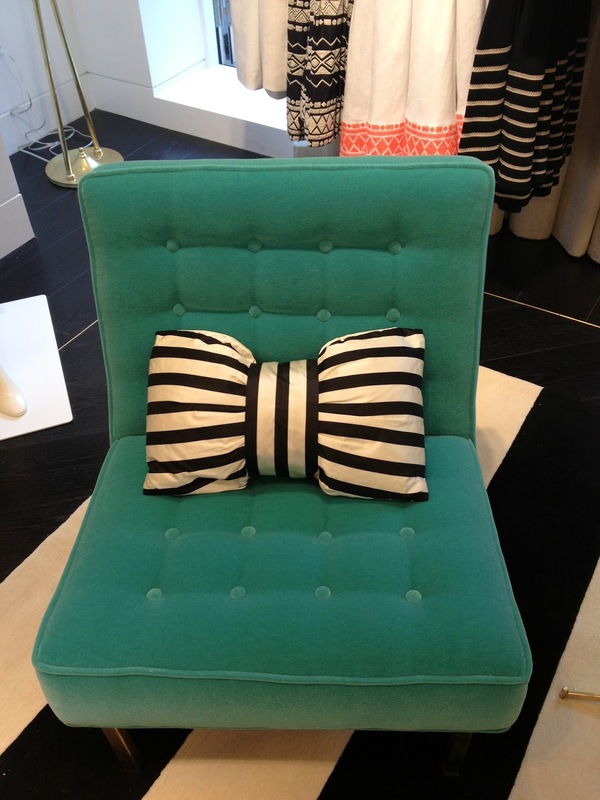 I love looking at the style of Kate Spade since she always has such pretty basic styles and usually with a vintage feel. Anyways, I loved these pillows they have and decided I needed to make one. My friend just moved into her new dorm at school today so I decided I'd take the opportunity to make one of these pillows as a 'housewarming' gift for her. As a bonus, I got to use up some more of my fabric stash! I still haven't bought any new fabric this summer, yay! Mine aren't quite as tall and the middle band is larger width wise, but this could easily be fixed. 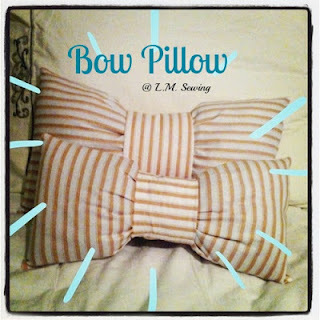 I was able to make more bow pillows if I made mine shorter though! 1. 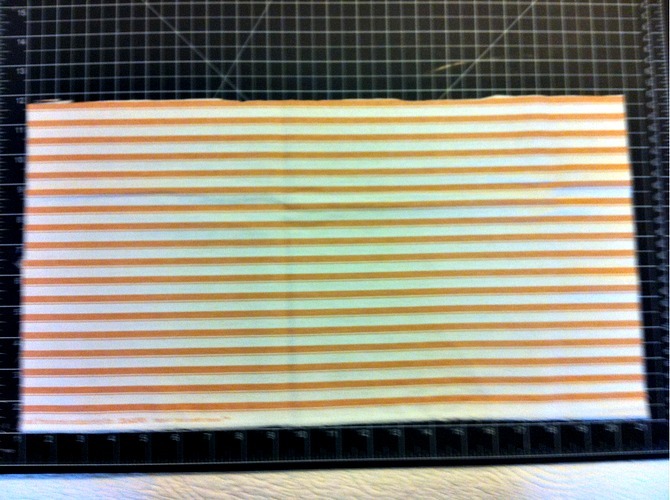 Cut a rectangle that is 20 inches long and 12 inches tall. This could easily be changed for smaller or bigger pillows. 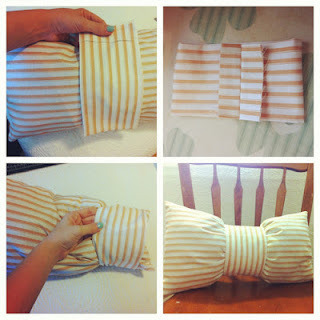 For one more similar to the Kate Spade pillow in the picture make it taller and shorter width wise. 2. Mark the very center and draw a line. 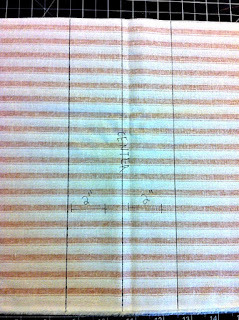 From the center line draw two more lines on either side 2 inches from the center line. This will be the width of the center tie so again this could vary if you want a smaller center wrap or a larger one. 3. 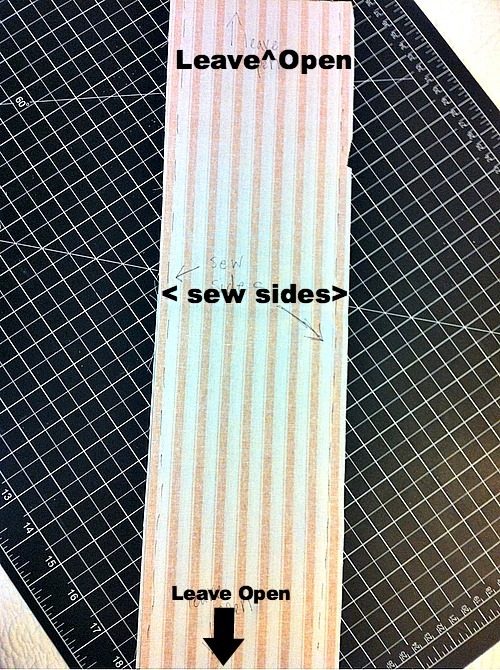 Then you will sew up your rectangle making sure to leave a space open across on side of the center line. This will allow you turn it right side out of course, but also the sewn closing will be covered by the bow tie wrap. Turn right side out, press and stuff with stuffing. 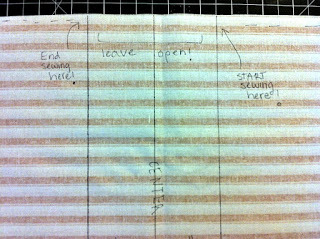 Then sew up the opening. 4. To make the bow tie wrap you will want it to be the size you marked off from your center line. In this example the total area marked was four inches. 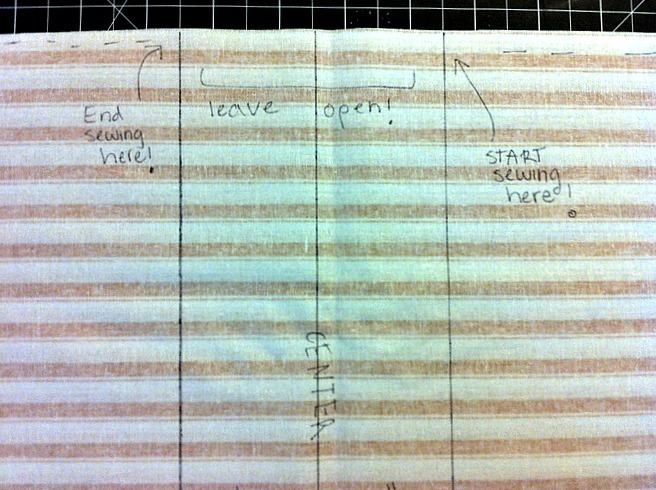 I added an inch for seam allowance and just a little extra side room. Make it longer than you think you will need and in the next step we will measure it. 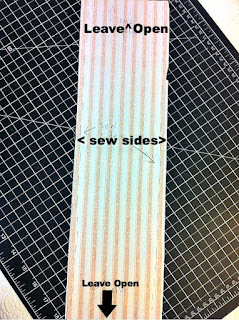 Sew up the sides, turn and press. 5. Now you should have a long tube like piece and a stuffed rectangular pillow. 6. Take the bow tie wrap and wrap it around your pillow. Mark with pen where to sew the two sides of the tie together. 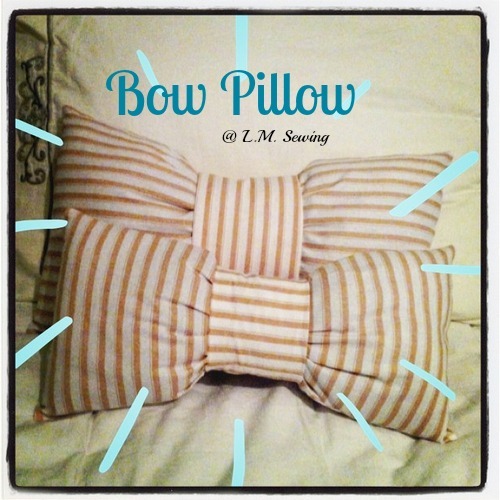 You want it to be somewhat tight so that it squishes the pillow in the middle, making the bow shape. 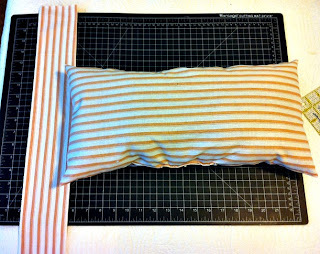 Press open and then slide over side of pillow till it's placed in the middle and your done! Thank you! My friends just love them, so they are making great gifts!